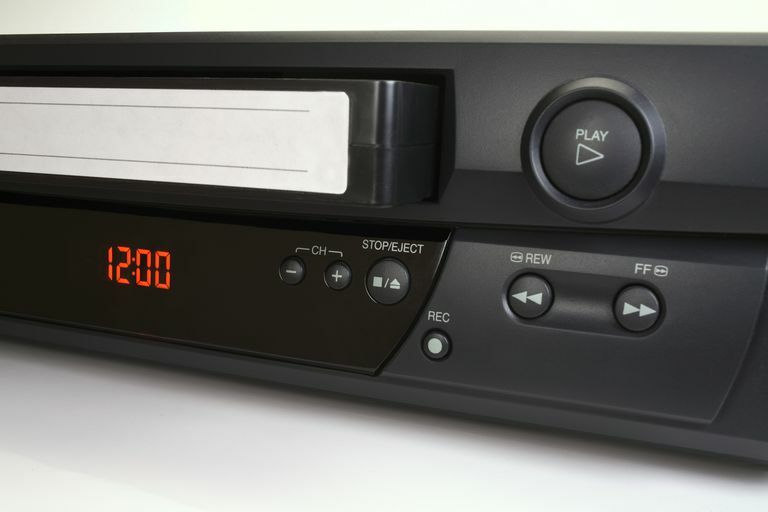 Using an antenna to record broadcast digital TV on a VCR is virtually the same process for a high definition television (HDTV) as with an analog TV. That's because the TV tuner inside the VCR drives the recording process, and it doesn't work with digital TV. You'll need a DTV converter box in order to get the job done. In contrast, with analog TV you could record broadcast TV without a DTV converter box because the VCR had a built-in analog TV tuner. Still, there are a lot of people that own an HDTV that want to use a VCR to record broadcast digital TV. The only problem is that they don't know how to -- maybe because the hype surrounding the digital transition was focused on analog TV owners and not those that owned an HDTV. That's about to change because digital TV owners need to know how to live with digital TV in the same fashion that they did with analog TV. This means knowing how to use a VCR to watch one channel while recording another. Use coaxial cable to connect antenna output to two-way splitter input. There is only one coaxial input on the splitter so don't get the input confused with the two outputs. Connect the other two coaxial cables to out outputs on the two-way splitter. Don't worry about connecting the other ends of the coaxial cable until step 3. Connect one of the coaxial cables from the splitter into the coaxial input on the DTV converter box. Once that is done then go ahead and connect the other coaxial cable from the splitter to the antenna input on the HDTV. Connect one end of the RCA video and audio to the matching colored outputs on the back of the DTV converter box. Once that is done go ahead and connect the other end of the same RCA cable to the same colored inputs on the back of the VCR. Now, get the other RCA video and audio cables and connect one end to the same colored output on the VCR. Once that is done go ahead and connect the other end of the same RCA cable to the same colored inputs on the back of the HDTV. This process is much easier with an HDTV than with an analog TV. First, you'll want to read about how to use a DTV converter box with a VCR. Once you learn about that process then it's time to learn how you toggle back and forth between the VCR and your antenna signal. All you have to do to toggle between the VCR and antenna signal is to switch the video input on the HDTV. You're probably familiar with this 'switching of video inputs' on an HDTV, but if you're not then sure to consult your TV's user manual for how to change your video input. Or, look on your remote for a button that says something like source, input, or video. Press it and you should get a menu to appear on the TV. Just toggle until you get to the antenna or the VCR input. So, how it works is this -- when you want broadcast TV in high definition switch to the antenna input and when you want to record or watch a video on VHS then switch to VCR's video input.